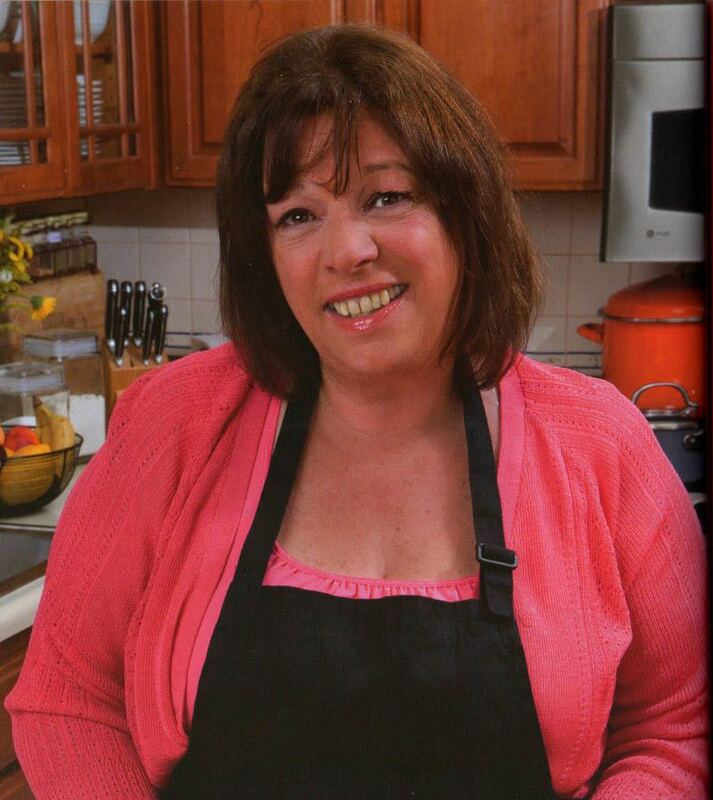 Learn the secret of Aunt Sandy’s 10x Cannabutter in her Medical Marijuana Cookbook. ​Do you know how delicious cannabis can be? With the medical acceptance and value of marijuana now a legal fact in 14 states, and the growing use of edibles by medical marijuana patients, it’s time to get cooking. 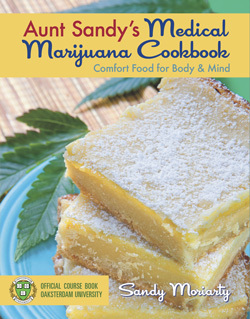 Aunt Sandy’s Medical Marijuana Cookbook: Comfort Food For Body And Mind, which will help you do just that, is a beautiful thing. Not only does it just feel “right” as you hold it, it is one of the most gorgeously produced books I’ve seen in a long, long time, with stunning full-page photographs of finished dishes and well-presented, knowledgeable information from a veteran in the field. Marijuana is medicine, and “Aunt” Sandy Moriarty shows you how to use it safely in 40 delicious and easy-to-follow recipes — desserts, appetizers, entrees and everything that’s good to eat. Aunt Sandy’s full-color cookbook visually demonstrates the process for creating the “magic ingredient” in her recipes, Sandy’s 10x Cannabutter. The book includes 40 delicious dishes, from Aunt Sandy’s famous signature dessert, Blue Sky Lemon Bars to the “Dizzy Bird” Turkey with stuffing for festive Thanksgiving dinner. ​Aunt Sandy also includes adaptations for diabetic, gluten-free, vegetarian, and other diets. The secret of effective cannabis cooking is the 10x Cannabutter, which replaces the “grass flavor” associated with old-time marijuana recipes with a tasty, nutty butter flavor. Aunt Sandy first explains how marijuana is medicine and how it can relieve pain, nausea, anxiety, and sleeplessness. She thoroughly explains the necessary safety factors and how to adjust dosage, the key to relieving pain and having an enjoyable experience. “I am delighted that Aunt Sandy’s Medical Marijuana Cookbook: Comfort Food For Body And Mind can help you to learn the secrets of cooking with marijuana so that you too can provide relief and joy with foods from your kitchen,” she said. Aunt Sandy’s Medical Marijuana Cookbook, used as an official course book at Oaksterdam University, is available direct from the publisher, Quick American Publishing, for $18.95 plus shipping. You can also find it at major online retailers such as Amazon and Barnes & Noble or at your local independent bookstore.